Are you feeling stuck, blocked, ready to give up? Why not let Elizabeth Gilbert cheer you on with her personal beliefs about creativity in her book Big Magic? It’s perfect for the beginning or seasoned writer. Gilbert begins by saying, “What we make matters enormously…Art is a crushing chore and a wonderful privilege.” She shares what she has learned about creativity, inspiration, and perspective. Being a great storyteller, Gilbert weaves personal stories throughout the book to show what she’s telling. She is so good that she can get away with beginning Big Magic with the classic words: Once upon a time. I admit I have not read Eat, Pray, Love, but I inhaled her book, The Signature of All Things—another example of her storytelling ability. Big Magic is written in short, easy-to-absorb chapters. It doesn’t feel like studying, but she teaches the reader about courage and fear, faith and focus, ideas and saying yes to them, persistence, and trust. Gilbert reminds us that we don’t need permission to live a creative life. Do what awakens you, what makes you feel alive. She reassures the reader that quitting your day job to follow your dreams is not necessary, but suggests you fold your dream into your everyday life. She also says we shouldn’t try to save the world with our creativity, because that heavy intention will be apparent in your final product. Gilbert is a supporter of drawing on your education from life experiences. She even titled one of the chapters Learning. The book inspired and encouraged me so much that I began writing my second novel on the blank page in the back. She uses humor to help the reader understand that whatever project you are working on “ain’t your baby.” Unfortunately, too much dignity can get us in trouble. My four favorite words in the whole book are on page 143, “It’s never too late.” She concludes the book by telling the reader to get back to work. I couldn’t have said it better myself. There’s still time to buy a ticket for this Saturday’s 2018 Northwest Georgia Writers Conference. Thinking about going? Here’s what one writer hopes to gain from attending the conference. The decision to leave my career and become a freelance writer was a difficult one. I was leaving the known—the comfortable—and wading into unknown waters. Over a decade later, I have contributed hundreds of articles to magazines and newspapers, published Project Keepsake, published two eBooks, made dozens of appearances on television and at special events, moved into the editor’s role for several regional magazines, and provided instruction and inspiration for aspiring writers. I’ve learned so much along the way. Last week a friend asked me why I still attend writing conferences and workshops. I was puzzled by the question. I’m a believer in life-long learning and subscribe to the notion that the journey to masterful writing never ends. And in today’s changing landscape of publishing and marketing, it’s smart to check in from time to time and take note of what works and doesn’t work for other writers. With that said, here are a few things I hope to learn (and gain) from attending the 2018 Northwest Georgia Writers Conference in Calhoun this Saturday. NEW TRENDS IN BOOK MARKETING—If you think writing a book is hard, just wait until you start trying to market and sell your books. Wow! Marketing Project Keepsake brought me to my knees a few times. That’s why I’m looking forward to Deborah Malone’s presentation titled, The Nuts and Bolts of Marketing. I hope to finish my novel by the end of the year, and I’m already thinking about my marketing strategy. MASTERFUL STORYTELLING TECHNIQUES—I am always looking for ways to improve my storytelling. Bestselling novelist, Karin Gillespie, will not only talk about the road to publishing her first book, but she will also share a few of her storytelling secrets, and I’ll be in the front row taking notes. A BETTER WAY TO OUTLINE—I’m not one of those writers who can sit down and birth a book with no roadmap. For my current project, I’m using a very crude outline to help me appropriately sequence my story. Nicki Salcedo will cover five tips to help develop stronger outlines which may reduce the stress and time required to get your story on paper. NEW WRITING FRIENDS—I love to meet other writers and hear about their projects. It’s called “networking,” and it works. LEARNING FROM MANUSCRIPT CONSULTATIONS—Literary Agent, Jeanie Loiacono, will be meeting one-on-one with some of the writers to discuss their books. She knows the business. Reservations for these consultations are just $20. My book isn’t far enough along to share with her. However, I plan to ask my friends who have booked consultations with her about their experiences. I’ll ask, “How’d it go? What did she say? What do you plan to do next?” And I will learn from their experiences. PODCASTING 101—Last year, I became infatuated with a storytelling podcast titled, S-Town. As a writer, I’ve considered using podcasting as an alternative medium to post my work in spoken form. Lee Green is a successful podcaster who will talk about how he got started. I plan to pick his brain. If you think you know everything about writing and publishing, you are wrong. Continue to attend workshops and conferences (use the link on the right to buy a ticket for the 2018 Northwest Georgia Writers Conference in Calhoun on Saturday, May 19). Read books on writing. Listen to what others have to say. The writing journey never ends. Freelance writer Amber Lanier Nagle writes from Northwest Georgia. Her book, From the Porch, will be available in June 2018. She hopes to publish her novel in early 2019. Connect with Amber at www.AmberNagle.com. By now, you've probably heard about it. The Northwest Georgia Writers Conference is scheduled for Saturday, May 19 in Calhoun, Georgia. Wondering why you should consider attending? Here are 8 reasons to attend the conference this year. Because as a writer, you enjoy hearing successful published authors talk about the lessons they’ve learned in the writing, publishing, and marketing world—Karin Gillespie (author of the Bottom Dollar Series and more) will talk about her journey to the world of bestselling authors. Deborah Malone will talk about the nuts and bolts of book marketing. There will also be an author panel where successful published authors will answer any and all questions about the craft of writing and the bumpy road to getting published. Because you’ve always had an idea in your head for a book, but you aren’t sure how to get started writing the story—Nicki Salcedo will discuss the basics of outlining a novel. For many writers, after the outline is constructed, the writing process is almost effortless. Because you’ve already finished a project, and you are ready to pitch it around—Literary Agent Jeanie Loiacono will be at the conference on Saturday morning for manuscript consultations. Did you know that many publishing houses will not consider your work if you are not represented by a literary agent? Don’t pass up an opportunity to get feedback from a professional who has helped dozens of writers get publishing contracts. Go online to reserve valuable time with her today. Because you want—or need—to meet more people in the area who enjoy writing as much as you do—Last year, the conference drew in 65 writers in the Northwest Georgia geographic region. Many attendees have kept in touch this year and helped each other with their projects. Some even joined the Calhoun Area Writers and started attending writer critique groups. Others were hired to write for a local magazine. The bottom line is this: networking with other writers opens doors and helps writers grow. Because you have an interest in poetry or podcasting—Speed presenters Dr. Marsha Mathews will talk about reworking poetry selections, and Lee Green will talk about the art of using podcasting to get a message out and complement writing endeavors. Because you feel your writing needs a little help—Cheryll Snow will talk about how to infuse dynamic dialogue into your projects. Bookseller Bryan Powell will discuss reasons why people stop reading books, based on his own research. 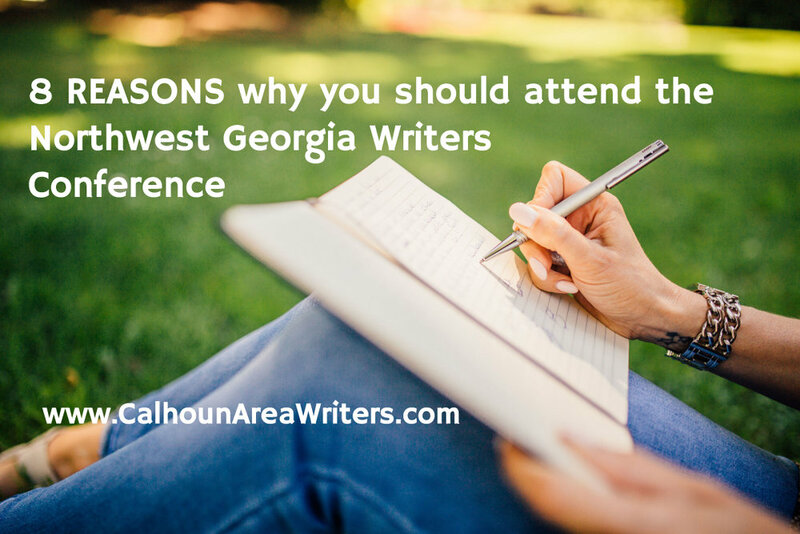 Because other comparable conferences are farther away and cost a lot more to attend—The Northwest Georgia Writers Conference is a real bargain at $65 for the day ($50 for members). Plus, it is located in the beautiful Harris Arts Center in Calhoun, Georgia, a small town with no traffic and ample parking opportunities. Because if you register before Wednesday, May 9, 2018 at 6 p.m., you can get $10 off of your general admission—That’s right, folks—if you register online before Wednesday at 6 p.m., your ticket is only $55. A friend and I decided to try our hands at book selling at a weekend country fair in Northwest Georgia last fall. The two-day, October event showcases Appalachian music, Southern foods, history exhibits, and over 200 booths featuring handmade arts and crafts—iron works, pottery, woven garments, quilting, carvings, paintings, prints, collectibles, etc. Those who know me well know I go into most activities seeking knowledge. I participate, make adjustments as needed, then afterwards, I evaluate the experience and consider what lessons I learned. I ask myself, “What went well? What didn’t go so well? Why? What could I change to make the experience better?” And then I share what I learn. This morning as I assessed the weekend and its many successes and blunders, I jotted down a few tips to help other authors who are considering selling books al fresco. Enjoy! PARTNER WITH ANOTHER AUTHOR—Partnering may allow you to share booth or entry expenses, but the big benefit of partnering is the sharing of tasks and equipment. I took care of the tent, sandbags for the tent, a folding chair, the easels for our posters, a phone charger, and a decorative tablecloth. My friend brought a folding table, two folding chairs, a table scarf, and other supplies. During the fair, we took turns manning the booth. And quite frankly, I enjoyed having a friend there to talk to when no patrons were stopping by our booth. 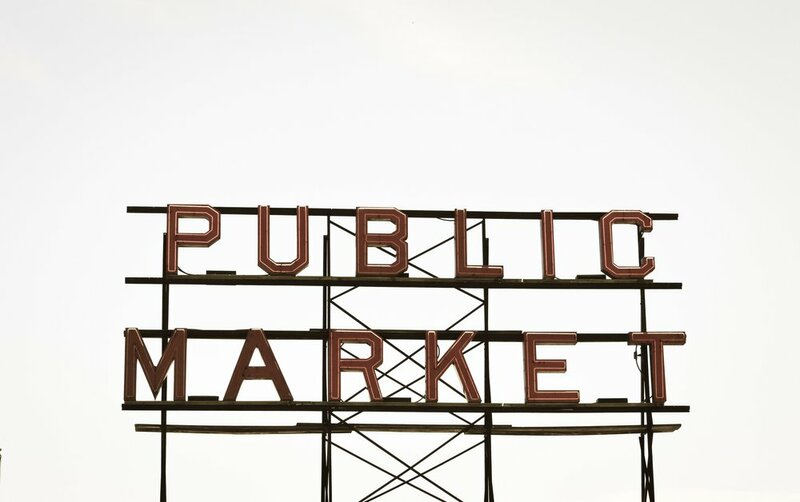 NEGOTIATE WITH ORGANIZERS—The fair’s booth fee was $125 for artists and craftsmen. The fee was too high for us (after expenses and taxes, authors don’t make much money per book), so my friend contacted the fair’s organizers well in advance and negotiated a different deal for us. In the end, we both paid the fair 20% of our total sales. PROMOTE BEFORE AND DURING—Fair organizers promoted the fair in newspapers and publications throughout the state, but I wanted people to know that two local authors were going to be there selling books. The week before the fair, I posted the event on social media and asked friends to swing by and see us. I not only posted it on my Facebook wall, but I also posted the information with a photo of Prater’s Mill to local and county-wide sites. One post was viewed by 4,377 people. Try to promote a few days before via a newspaper press release or a guest spot on a local radio or television show. Also, during the weekend, we took photos of book buyers and splashed the photos all over social media to remind people of the fair. MAKE A LIST—Make a list and be prepared. Some events provide a table and chairs, and others do not. Beyond books, business cards, posters, and money, you may need tape, scissors, a pen, paper, a few basic tools, a jacket, a hat, sunscreen, water, hand sanitizer, tissue, paper towels, a change of clothes, a hand truck, and trash bags. SET UP A TENT OR AWNING OVERHEAD—At the country fair, we experienced both torrential downpours and bright, burning sunshine, so the water-repellant canopy we borrowed from my sister-in-law proved to be invaluable. If you opt to use a tent, you may want to tie weights or sandbags to the legs to prevent the wind from blowing it away. Also, a can of WD-40 may come in handy since metal frames rust sometimes making legs and braces hard to slide into position. STACK BOOKS ON THE TABLES—Stack a few books on the table so that passersby can read the spine of the book. Also, prop one book upright so patrons can see the cover from several feet away. If the weather is wet or humid, don’t take too many books out or the pages will swell and buckle. BE NEAT—Keep your table nice, neat, and presentable. Clutter is distracting. No one wants to see crumpled candy wrappers and trash on the table top. GIVE STUFF AWAY—One way to draw people into your booth is to give away inexpensive freebies. This past weekend, I gave buckeyes to dozens of people as they contemplated buying my book. I’d smile and say, “Put it in your pocket for good luck.” The buckeyes were great conversation starters. Be creative. What about a clear vase full of tootsie rolls? And always have a few bookmarks and business cards on the table for people to take. POSITION YOUR TABLE CLOSE TO THE FLOW OF PEOPLE—You want to be as close to the people traffic as possible so you can make easy eye contact. If you place your table deep within your booth, a potential customer has to walk all the way in, which may deter people from stopping. SET PRICES FOR CONVENIENCE—Don’t sell your book for an odd price requiring coin change. Make it easy on you and the buyers and round the price to the nearest dollar. HAVE CASH AND YOUR SQUARE DEVICE—Have plenty of cash on hand. I sold copies of my book for $16, so I made sure that I had plenty of one dollar bills in my cashbox. Also, make sure that your Square device (or other credit card processing device) is working and ready for the day. Pre-program the items you will be selling on your Square app so you don’t have to remember the prices during the transaction. KNOW YOUR ELEVATOR PITCH—An elevator pitch is a thirty-second description of your book. Every author should have one, and every author should practice saying the pitch over and over again. Here’s mine: “My book is a collection of 55 nonfiction stories about keepsakes—a ring, a pocketknife, a quilt, a Bible, a hat, a fishing lure. I asked friends and other writers to pick one of their keepsakes or heirlooms and tell me where it came from and why it’s special. I’m interested in the stories and memories associated with the keepsakes.” I pause for a moment then ask, “Do you have keepsakes at home?” Also, if you partner with another author, make sure you know how to pitch his or her book, too. PREPARE FOR CHIT CHAT—“So, are you from around here?” “I love your boots!” “Do you read nonfiction?” “Do you have keepsakes or heirlooms at home?” “You look familiar to me.” “I think the rain is over for a while. Have you seen the radar?” Also, if you find out a patron is involved in a particular school, library, club, or group, inquire about speaking to the group about your book. Seize the moment and ask, and don’t forget to get his or her business card or contact information. DON’T HOUND PEOPLE—Not everyone reads, and not everyone wants to buy a book at a country fair or festival, so if they keep walking, let them walk away. Don’t call to them. Don’t badger them. Let them go. WEAR COMFORTABLE, APPROPRIATE CLOTHING AND SHOES—Sorry, four-inch-heeled, strappy Manolo Blahnik shoes and skin tight pencil skirts aren’t appropriate articles of clothing for a country fair or street festival. Think comfort. Consider jeans and a nice top. Wear comfortable shoes. This past weekend, I wore my Project Keepsake tee shirt so everyone would associate me with my book. WEAR A NAME BADGE—A name tag will help people know who you are so they can call you by name. It will also reinforce your brand. SMILE AND BE FRIENDLY—No one wants to buy a book from a grumpy person (unless you are Grumpy Cat). Smile. Be friendly. Be inviting. Be helpful. Be respectful. Let people know you are approachable and you want to be there. WRITE A THANK YOU NOTE—In today’s world, a simple thank you goes a long way. Sit down and write a thank you note to the event organizers and ask them to keep you in mind for other events. If you, too, have sold books at an outdoor community festival or fair, we’d love to hear your ideas and thoughts. Please share by leaving a comment. Amber Lanier Nagle is the author of Project Keepsake (www.ProjectKeepsake.com) and two eBooks (Southern Exposure and Have a Seat). She’s also the editor of Northwest Georgia’s Good Life Magazines and contributes to many national and regional magazines. Learn more at www.AmberNagle.com. Take a look at a few of your favorite books and add to my list of interesting hooks by leaving a comment. Tell us why you like the hook so much. And please don’t forget to give credit to the author and title of the book. I think about this topic all the time. I call it, “The Golden Rule of Writing,” which is, “Do unto other writers as you would have them do unto you.” It’s about reciprocity—please help me get the word out about my book, and when your next book is released, I’ll do the same for you. Don’t get me wrong—most of my friends and fellow writers have been extremely caring and helpful as I‘ve worked tirelessly to promote Project Keepsake. But a few of my friends and writing buddies have not helped at all. In fact, a few of my writer friends have vanished from the face of the earth, and I’ve been wondering why. But as I read Sambuchino’s post, I had some revelatory thoughts—maybe a few of my friends think I’m upset that they haven’t bought a book, and maybe they just don’t know how they can help me, aside from making a purchase. I’ve tried very hard not to push any of my friends into purchasing my book, because I know the content of Project Keepsake doesn’t appeal to everyone. I’m fine with friends not buying a book. Really. But there’re are many other ways to help a writer/author/friend promote his or her projects other than buying the product. I’ve listed Sambuchino’s suggestions below, and I’ve added a few more to his list. HAND OUT YOUR FRIEND’S PROMOTIONAL MATERIAL—Give her business cards, her book marks, her sell sheets, her postcards to your other friends, family members, and coworkers who may be interested in her book or scheduling her for a presentation at club or church meetings. SHARE CONTACTS—Hook your friend up with your other friends in the media business (newspaper editors, feature writers, radio personalities, television hosts, etc). Introduce them. It’s very hard to cold call a media contact and get noticed, so your introduction could make the difference. I also share names of contacts at bookstores and libraries with my other writing buddies. It saves them time. SHARE INFORMATION—Clubs are always looking for interesting speakers. If you hear that Rotary, Kiwanis, or a book club is looking for an interesting speaker or guest, share that information with your friend. If you learn of an upcoming writers conference that fits your friend’s project, send her the link or remember to tell her about it. ATTEND AN EVENT—Whether it is a book launch party or a reading at the public library, attend at least one of your friend’s events and bring someone along. I once had a poorly-attended book signing at the Barnes & Noble in Rome, Georgia, along with ten other local authors. I was pleasantly surprised when two of my writing friends—the late Wayne Minshew, and founder of Calhoun Area Writers, Karli Land—showed up to hang out with me. It would have been a lonely two hours without them. FACE THE BOOK OUT AT BOOKSTORES—When you are at the bookstore, rearrange the books on theshelf so that your friend’s book faces out. This will help your friend’s book get noticed by passersby. WRITE ONLINE REVIEWS—So many times, if a reader is on the fence about a book, a well-written, positive review will seal the deal. So take five minutes and post great reviews for your friend’s book on online sites at Amazon, Barnes & Noble, Goodreads, etc. I’m not suggesting you lie. I am suggesting that accentuate some positive aspect of your friend’s book. BE SEEN WITH YOUR FRIEND’S BOOK—If you have a copy of your friend’s book, carry it around with you sometimes and mention it to friends. Read it at the doctor’s office. Read it at the DMV. Read it at your kid’s soccer practice. Read it on the plane. Make sure that others see your friend’s book. SHARE ON SOCIAL MEDIA SITES—Merely “liking” a post is not enough sometimes. When the author mentions the book or an event on Facebook, share the news with your social circles and include a small note about what the book is and why they should buy it. Sharing is an act of endorsing. My friend, Ruth Demeter, shared my post about the book event in Rome with her friends who live in the Rome area. I am appreciative. It’s all about exposure. And consider retweeting a friend’s book-related post with appropriate hashtags. RESERVE A COPY AT THE LIBRARY—Again, the library employees will take notice of your friend’s book and may order additional copies or suggest it to readers. CONSIDER SHARING EVENTS—If you are also a writer, consider sharing an event with another writer. I have shared my events with other writers/authors, when applicable. And I recently shared a fifteen-minute radio spot with another writer. I still had plenty of time to promote my book, and quite frankly, I think that including her made the radio spot more interesting. BE ENCOURAGING—Being kind and encouraging is just what friends do. Ask your friend about her events. Ask how book sales are going. Ask if there is anything you can do to help promote your friend’s book. And then, just listen. Sometimes, new authors just need to know that their friends care. With all the planning going on for the Northwest Georgia Writers Conference, I thought it might be appropriate to share a great article that I read in The Writers Magazine. The author has listed 10 things they've learned at writing conferences. I'll get you started with number one because I think this one is a biggie! I've facilitated writing workshops for several years. During these workshops, I always ask attendees, "Do you want to take your writing to the next level?" Everyone shakes their heads up and down. And so I offer these very basic writing tips to the room. Write. Write often. Write regularly. Be fearless. The more you write, the easier it is to write. Read. Read a lot. Pay attention to how your favorite authors tell their stories. Work with other writers. Ask for help, and when you can, offer your assistance to others. Keep a notebook handy to jot down story ideas when you think of them. Don’t bite off more than you can chew. Start with smaller projects to develop your writer’s voice (writing style), and build from there. Use stronger action verbs in your writing. For example, The motorcycle ___________ down the street. Dozens of verbs will work, but think about what you really want to say. Zoomed down the street? Flew down the street? Dashed? Rolled? Careened? Swerved? Crept? Pulsed? Add a dash of dialogue to dress up your writing. “Strong dialogue is the spice of life,” the best-selling novelist said. Master these tips and your writing will go from good to great! Welcome to the Calhoun Area Writers blog. Our short posts will present useful tips and information for both seasoned and aspiring writers. Our members are our guest bloggers. Tell your friends about us. Share our blogs on Social Media. Most of all, start writing today.